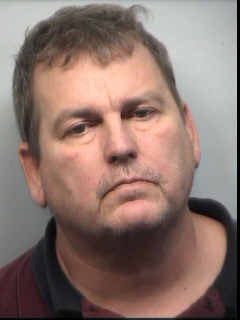 TITUSVILLE, Florida -- Former Astronaut High School Coach John Hackney was arrested in Fulton County, Georgia on Monday September 17, 2012 and charged with three counts of child molestation and one count of physical and/or mental cruelty to a child. Hackney posted $80,000 bond and was released from jail on Wednesday September 19, 2012. In August, agents with the Titusville Police Department, the Child Protection Team, and the Brevard County School Board assisted the Roswell Georgia Police Department in conducting interviews regarding alleged incidents that occurred on a youth trip and specifically in Roswell, Georgia. The trip was led by Hackney and left from Astronaut High School in Titusville, Florida. Police say that the alleged incidents occurred in Georgia when the youth group was returning from a sports camp. Anyone with information that wishes to remain anonymous can call CRIMELINE at 1-800-423-TIPS (8477).